With everything you have going on, you not only need a calendar in the palm of your hand at all times, but one that shows you everything on the docket—not just a subset of events. Luckily, HoneyBook's iOS and Android apps have your calendar covered! By default, your HoneyBook calendar will display all HoneyBook-related events, such as Project dates and payment due dates. 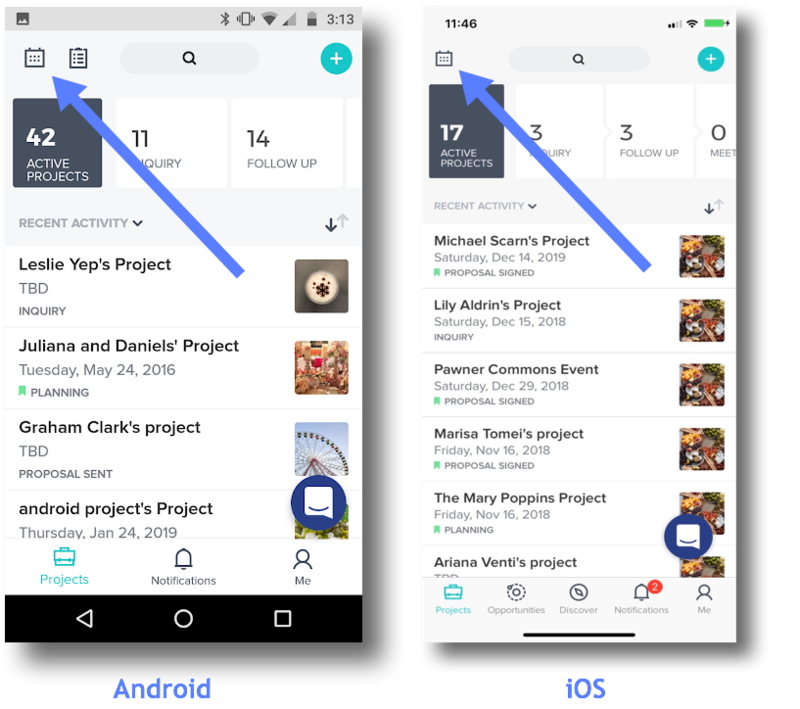 To get the most out of your your calendar, though, make sure that that you allow it to pull events directly from your iOS or Android's device's calendar as well. Then, you’ll never be in danger of double-booking, and you can get a complete picture of your schedule. Read more about syncing and accessing your mobile calendar tool below. You can learn more about the Google Calendar integration here, and more on the full range of calendar settings and preferences here! 1. From your home page (Pipeline view), tap the Me tab in your bottom navigation bar. 2. Tap the Gear icon in the top right corner. 3. 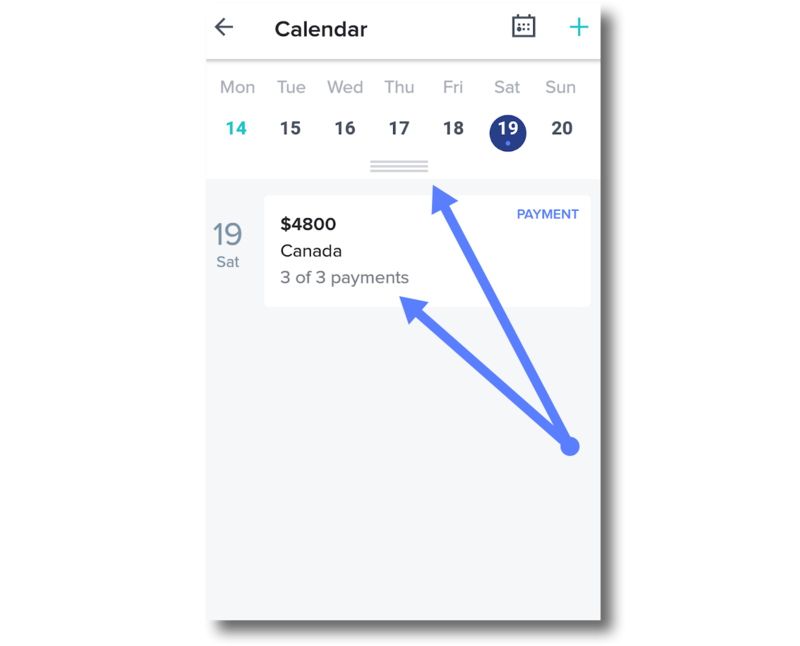 In the Calendar field, toggle your Calendar sync on or off. 1. 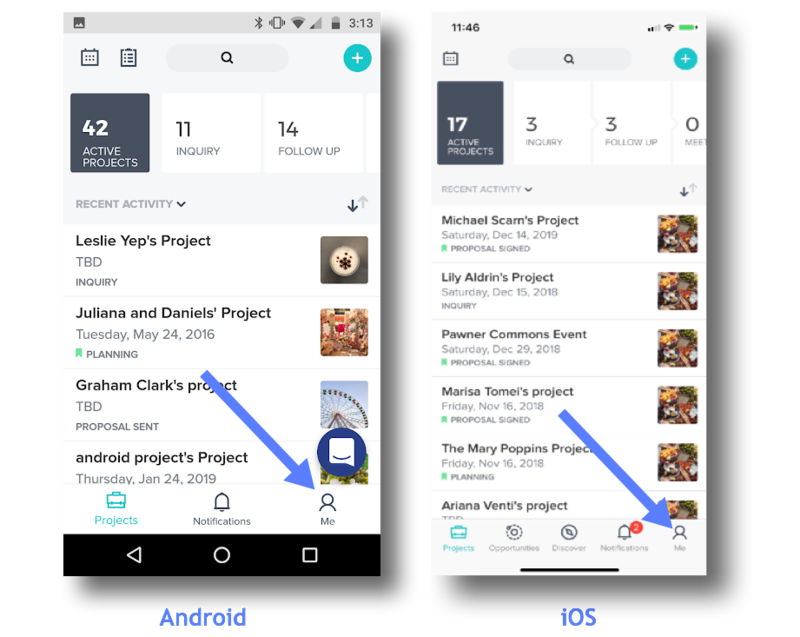 From your home page (Pipeline view), tap the Calendar icon in the top left corner. 2. Tap into any day to view its events. PLEASE NOTE: If you see dots on a given day from the month view, that’s an indicator of an event occurring that day! 3. Tap any Project or payment for more details, or tap the file drawer icon (3 horizontal lines) to return to month view.